HDFC chairman Deepak Parek, and former chairman of Hindustan Lever and member of Rajya Sabha Dr Ashok Ganguly jointly issued a statement on Sunday supporting the government move to invite foreign investment in retailing. However, the government is said to have gone back on the decision now and reports suggest that FDI in retail has now been put on hold. India always prided itself on its vibrant democracy. It was large and noisy, but it worked. 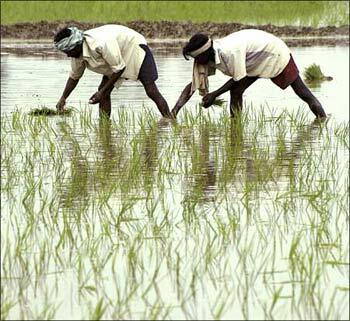 Today, there is concern over India's overall economic slowdown. From ambitions of double digit GDP growth rates, the slide has been swift. Yet in the broader scheme of things, a slowing economy seems to pale in comparison to the larger crisis at hand -- that of a Parliament that is completely unable to function in the way these sacred institutions were set up to be. A democracy encourages openness and permits dissent, but perennial disarray and disruption is sacrilegious. So as the nation interminably and unproductively quarrels about 'India's tryst with destiny', the more important question is how should some semblance of order be restored in Parliament? During the course of the year, sections of Corporate India together with the common man raised its voice over many misgivings of the government. The government of the day gave a hearing and remedial action, though in small measure, was initiated. Many concerned with the prospects of Corporate India said stem the slowdown, increase investments, bring in new reforms. No one objected till then. But when the government began to act, what have we but chaos and adjournments over a decision to allow foreign direct investment in retail. There are 32 bills in this Winter Session of Parliament for consideration and passing, many of which are of far greater consequence and importance for the country than FDI in retail. 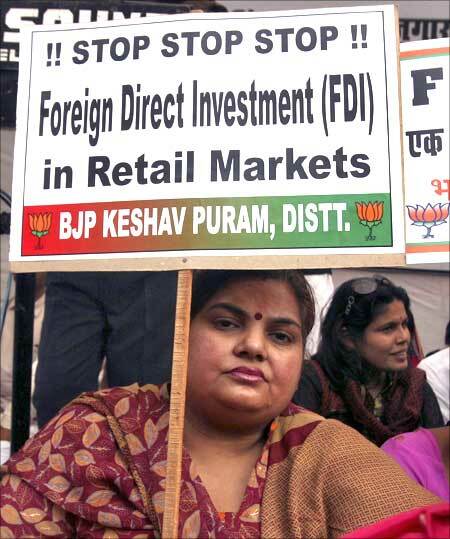 The protests on FDI in retail are misconceived and unfortunate, but hope to salvage this situation should not be lost. 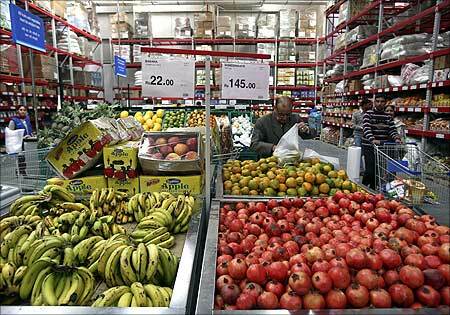 FDI in retail has not been a sudden decision taken by the government. On the contrary, the idea has been toyed with for over 14 years. Detailed discussions with various stakeholders have been held, experts consulted and studies commissioned based on international experiences of organised retailing. 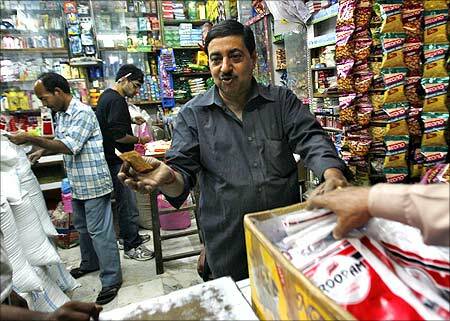 Modernisation of retail trade is an essential part of India's growth story. 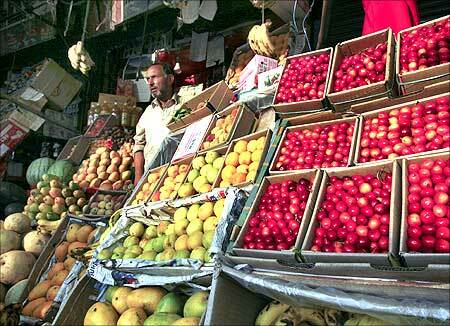 It is well known, from experiences of countries such as China, Indonesia and several others, that modern retail trade and traditional traders can, and do, prosper side by side, raising employment along the supply chain, improving farm incomes, reducing spoilage and delivering affordable products to consumers. Opposing investment in modern retail for the sake of it is only defending vested interests to the detriment of the vast majority. The farmers, the consumers and the common people must raise their voices against this false drama of apprehension against investment and modernising trade in agriculture and consumer goods. For example, in a district which grows the largest amount of potatoes in the country, more than 50% rots in the fields due to inadequate cold storage facility and supply chain, to utter distress of the farmers and at the cost to the end consumers. There are thousands of similar events every year across the country. What is intriguing and bewildering is that the false alarm of FDI is continuing to be used after so many years, as a bogey in modern times against foreigners and foreign investment. 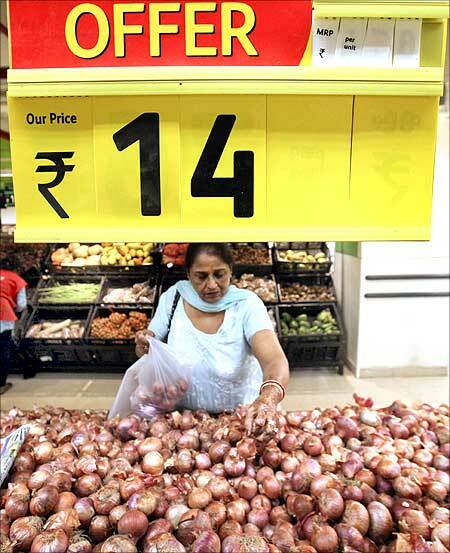 It is completely deluded to argue that kirana shops will be wiped out with the onslaught of FDI in retail. What does hurt the kirana shops are them having to down their shutters to support bandhs. It is important to articulate the economics of FDI in retail. It is illusory to believe that the market will be flooded with FDI. Retailing is not an easy business – margins are thin, large parcels of real estate are not easily available and the supply chain logistics ranging from warehousing, cold storage to transportation pose a major challenge. More importantly, the central government's role in retail FDI is minimal. The greater onus lies with the state governments as a maze of laws ranging from Shops and Establishments Act to the APMC Act, amongst several others falls within the state's domain. 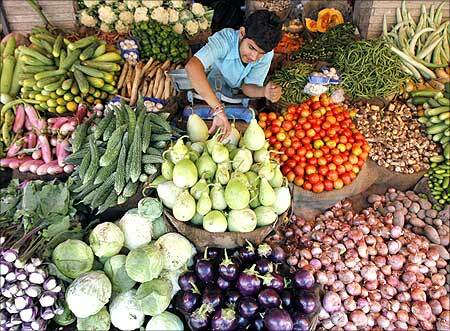 Progressive states that wish to attract FDI in retail will encourage investments and vice versa. 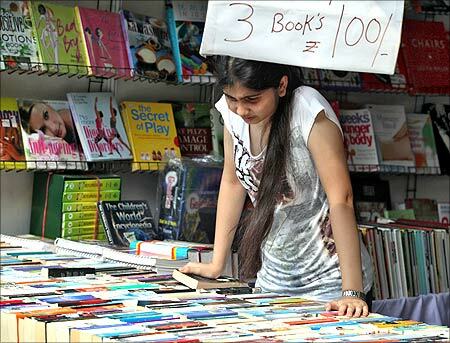 Either way, the fruits of organised retailing will not happen overnight, but will take several years.